order to ensure that post-EU accession, when the leverage of the EU’s conditionality in the governance area weakens, the reform drive endures. Based on a robust methodological approach, combining quantitative and qualitative techniques, and building on the EU’s Principles of public administration, the PAR Monitor measures the countries’ state of play in PAR, benchmarks them against each other, and provides recommendations for improvement. The PAR Monitor also ensures complementarity with the monitoring carried out by SIGMA/OECD and the European Commission. It therefore provides a citizen and civil society focused perspective on the EU-SIGMA principles. The PAR Monitor comprises an overall comparative regional report and six country reports, each including findings on the 23 compound indicators designed by the WeBER project team to monitor a selection of 21 EU-SIGMA principles. Western Balkan PAR Monitor available here. Public Administration, developed by the OECD/SIGMA and endorsed by the EU. These Principles define what makes a well-functioning administration in terms of its ability to deliver transparent, efficient and effective services to citizens, and to support socio-economic development. functioning, can lead such domestic advocacy efforts aimed at better administration. Independent PAR monitoring and evidence-based dialogues with the government represent a good approach to achieve this goal. Based on such a rationale, the WeBER project has completed its first monitoring cycle. Its structured and evidence-based approach to PAR monitoring brings the reform closer to the public, by particularly focusing on PAR aspects with most relevance to the civil society and the public. PAR Monitor methodology. Overall, the methodology is based on the selection of 21 SIGMA Principles within six key areas, monitored and reported through 23 compound indicators that focus on different aspects of PAR. basic methods of communication between a state and its citizens. EU and Euro-Atlantic integration and membership, it is necessary to change this paradigm of communication between this state and its citizens. In order to build the citizen’s trust in the administration, the administration needs to be transparent, its work needs to be visible and understandable to the citizens, because in that way the possibility of corruption and abuse of power is reduced, and the citizens are enabled to take active participation in decision making processes. However, it is still too early to speak of the existence of a consistent proactive transparency in BiH. be adequately defined in the legislation and adequately applied in practice. However, some positive views are held towards practical aspects of requesting information: information is provided in requested format, within deadlines, and free of charge. Furthermore, the research has also shown that the information provision on the websites of the institutions lacks a citizen-friendly approach. Publicly available information is only partially complete and updated, and accessible within maximum three clicks from homepages of the institutions. For more information, read our policy brief here. Do Western Balkan governments have effective public administration reform agendas? Is PAR purposefully implemented? Are there functioning structures to steer the reform design and implementation? Find out in this WeBER Infographic! Find out more about WeBER Project here. Western Balkan PAR Monitor 2017/2018 here. BiH National PAR Monitor 2017/2018 available here. (English). Report in local language here. Do Western Balkan countries have good freedom of information (FOI) laws and are they consistently applied? Find out in this WeBER Infographic! BiH National PAR Monitor 2017/2018 available here. Report in local language here. The fourth meeting of the National Working Group (NWG) for Public Administration Reform (PAR) in BiH was held today in Sarajevo on 29. November 2018. The motive behind the meeting was the presentation of a comprehensive report on the state of public administration in BiH – State PAR Monitor 2017/2018. 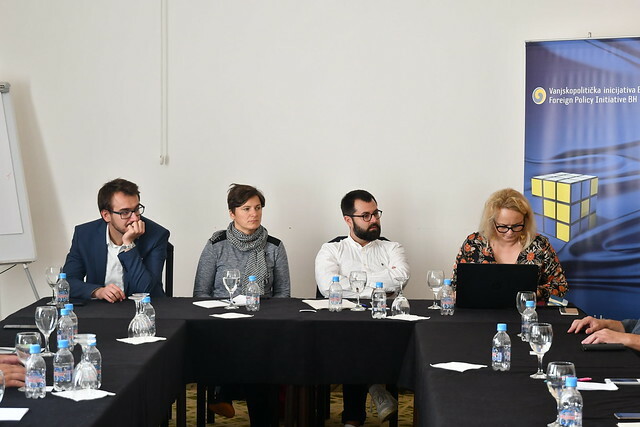 The report was written pursuant to a year-long research and monitoring of PAR within the scope of WeBER Project, the first regional civil society project monitoring this process in the Western Balkans. The report is available here (english), in local language here. Vedrana Faladžić, from the Public Administration Reform Coordinator’s Office (PARCO BiH) and Lejla Ramić Mesihović, Director of the Foreign Policy initiative BH (FPI BH) have discussed on what is the significance of monitoring of the public administration reform by the civil society. 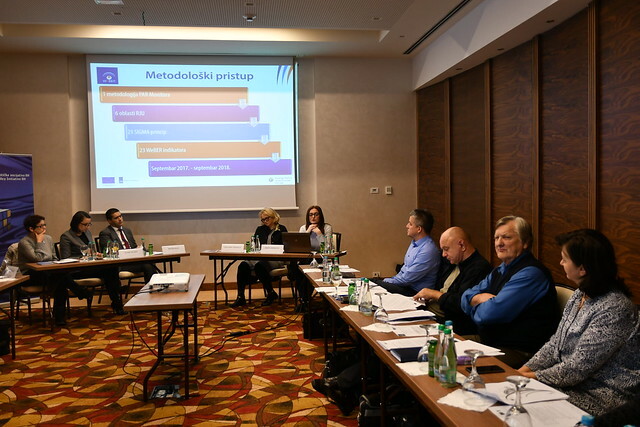 The State PAR Monitor for BiH was presented by Ms Anida Šabanović, FPI BH researcher. After the presentation, there was a serious discussion in which many discussants took part. Along with the members of the civil society organizations who are members of the NWG, Mr Nedžib Delić, head of the PARCO Operative Unit, Elvira Mujkić, PAR expert, Davor Vuletić, President of the FPI BH Assembly, and Mr Bojan Kovačević from the Business Development Agency EDA from Banja Luka. This event has gathered representatives of civil society, public administration, media and PAR experts. *NWG is a consultative mechanism within a ste between representatives of civil society and relevant state authorities in creation and monitoring of the PAR process in Western Balkan countries. NWGs were established in each of these countries as a part of a wider regional WeBER platform. 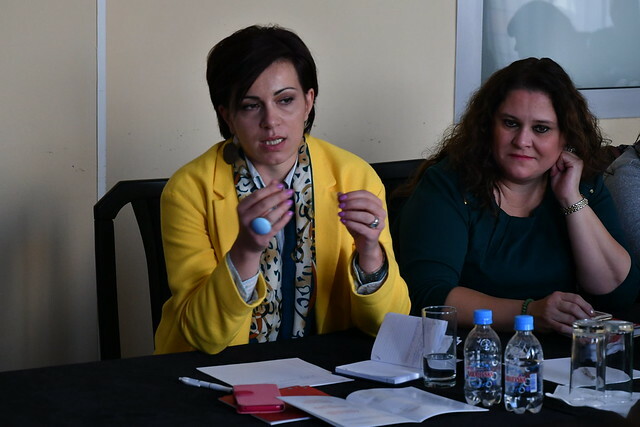 On 12 November 2018, Foreign Policy initiative BH, within the scope of the Project dedicated to development of women negotiation skills, implemented with financial support of American Embassy in BiH, had organized a presentation of 13. The brochure is intended for women politicians and social activists in our country. After spending three working cycles with women parliamentarians and political activists in Bosnia and Herzegovina, we have noticed a need for creating a brief manual pertaining to the specifics of women active involvement in politics, and offer a brief elaboration of involvement through identifying main problems and offering solutions through adequate policies. The author of this manual and the director of Foreign Policy Initiative BH, Ms. Lejla Ramić Mesihović, has stated how the desire and the and the intent to empower the women dealing with politics, or intend to do so in the future, were vital for the creation of this manual with the goal of offering a quality analysis of the context and the authors position on political activity. The manual contains control lists stemming both from political theory and the authors own experience. A significant effort was invested to make them both be complementary with the text and for the text to be supplemented with the hints of concrete practical examples. We hope that the content offered in this manual will help political activists and those who wish to become so to maximise the effects of their own work for the benefit of the society and creation of their own political capital. Politicians and social activists that have attended the presentation have discussed the current political situation in BiH and the role and presence of women on political scene. They have found that manuals, such as this one, are something that every woman, who wishes to be a part of political and social changes in our country, needs to have. On 27 november 2018, Foreign Policy Initiative BH, in cooperation with Friedrich-Ebert-Stiftung BiH has organized the presentation of political analysis „Towards new Foreign Policy Strategy of Bosnia and Herzegovina 2018-2023“ by Davor Vuletić. As pointed out by the author, mr. Davo Vuletić, this analysis endeavours to provide an overview of the Strategy, bring it to the attention of the public and thereby provoke a broader discussion on the matter. Furthermore, it will assess whether the new Strategy reflects the developments in international relations, geopolitics, regional dynamics, and the fulfilment of obligations accepted under the Stabilisations and Association Agreement (SAA) related to the European Union (EU) Common Foreign and Security Policy (CFSP), as well as the Sustainable Development Goals (SDGs). Finally, the brief will aim to assess if BiH used its experience in external affairs to produce a politically coherent foreign policy strategy that can meet the challenges of the next five years. Participants of th panel discssion for he presentation of the analysis were its author Davor Vuletić (FBI BH), PhD. Prof. Slavo Kukić (sociologist), PhD. Nedžma Džananović Mirašćija (Faculty of Political Science) and Mr. Đorđe Tomić (political analyst), and Mr. Zlatko Dizdarević (FPI BH) The discussion will be moderated by Mr. Zlatko Dizdarević (FPI BH). In their discussion the panelists have underlined the conclusions that the goals of the new Strategy should be contributing to stability and security, protection of BiH ciziens and promotion of Bosnia and Herzegovina in the world. The presentation was be attended by representatives of the civil society organizations, academia, relevant institutions, embassies in Bosnia and Herzegovina, members of the academia and media. One of the major products of the WeBER Project, Regional PAR Monitor 2017/2018, was presented in Brussels to the representatives of the Directorate-General for European Neighbourhood Policy and Enlargement Negotiations (DG NEAR) of the European Commission, and to the participants of event organised by the European Policy Centre – EPC. After performing the first monitoring exercise, WeBER research team revealed findings and data related to the present levels of openness, transparency, accountability, and meritocracy of the Western Balkans’ administrations at the meeting organised in the premises of the DG NEAR. Interested officials of the European Commission had opportunity to acquire first-hand insights of the monitoring process and methodology, learn about research results in all six public administration reform (PAR) areas and ask country-specific questions in order to obtain evidence-informed findings necessary for their future communication efforts towards the Western Balkan countries. Following the DG NEAR meeting, Regional PAR Monitor 2017/2018 was presented at the Policy Dialogue A Balkan perspective on Public Administration Reform: Who is moving forward and who is falling behind? organised by Brussels-based WeBER partner organisation, EPC. The Policy Dialogue was moderated by EPC Senior Policy Analyst, Corina Stratulat, and was attended by EPC members, EU officials and media. It explored the project findings in more detail, and answered the following questions: How does each country’s public administration compare to the others? What examples of good and bad practice can be found throughout the region? Where are the frontrunners lagging behind, and why? What should the Balkan countries do to further advance reform and how should the EU help? The results show considerable discrepancies between countries and reveal that the “frontrunners” are not always at the front in all the different aspects of PAR. If you are interested in learning more about the results of the WeBER monitoring, please read the Executive Summary available here or take a look at the graphically presented results in the PAR Scoreboard available here. This project has a very pronounced component of working with young people, raising their awareness and knowledge on the values of inter-religious cooperation, and developing tolerance among the youth population. The project was created due to the need coming from the Visegrad countries (V4) for strengthening inter-religious cooperation due to the rising migrant crisis and the rising religious intolerance within the European countries. The project is focused on raising awareness of the significance of the inter-religious dialogue in modern day life, not just within the V4 countries but within the European countries in general , on promoting good practices and experiences of coexistence and common values of different cultural and denomination groups particularly within the context of changes occurring in the world in the light of political changes in Europe, migrant crisis, problems occurring in education and employment, and discrimination that those who are different often face just because they are different. How to find a way to learn from each other and to share with each other the most positive sides of our culture and religion? The answer to this question was sought during this round table through examples of good practices by the round table participants who have, through the prism of life in Bosnia and Herzegovina, tried to illustrate to our guests from the V4 countries how our differences help us get to know ourselves and that one of the best examples, was during the unfortunate war in BiH, where different religious charitable institutions have acted together in order to offer maximum support and help to the people living in this country. There are many other examples of inter-religious cooperation in the modern day life as well. Representatives of different religious communities, cultural heritage associations, youth associations and other CSOs have agreed that in BIH, once you have a in-depth look inside its history, our coexistence came organically. Our old customs indicate how ones next door neighbor (komšija) is the most person in ones life, much closer to you even than your family, and that the best examples of living together are the examples of the neighbors who are the true illustration of togetherness and coexistence. The conclusion of this round table was that religion is a permanent matter in everyday life, however it is very much intertwined in political scene and it is very important to speak of these issues. The project partners from the V4 countries have agreed good practices and cooperation of different religions present within BiH can absolutely help in creating a bigger picture in the V4 countries, particularly in the light of the migrant crisis happening in Europe for the past several years. In the next few months, within the scope of this project, a video competition will be organized in BiH on the topic of most representative and successful examples of inter-religious dialogue and cooperation in BiH. The project is financed by the Visegrad Fund.